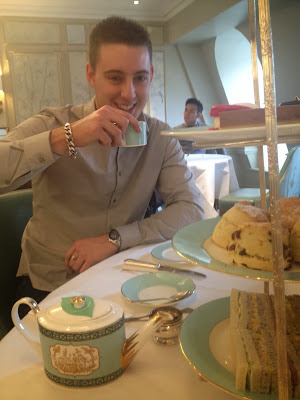 Yesterday, me, John, mum, dad and little sister took a visit into London for Afternoon tea at Fortnum & Mason! 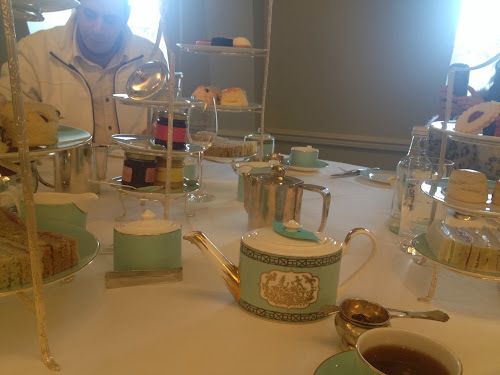 I love their all their tea, my dad brings it home when he goes for Afternoon Tea and sometimes orders it online, and their biscuits are amazing too, so my dad decided to take us all out there for a nice family afternoon out. I thought I would share the few pictures I took of the tea! 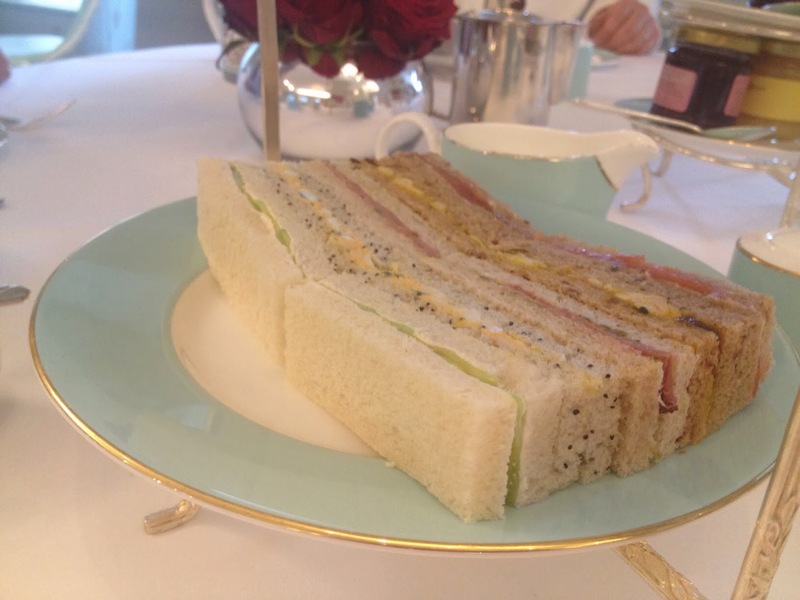 Afternoon tea consisted of a selection of finger sandwiches, scones and cakes! 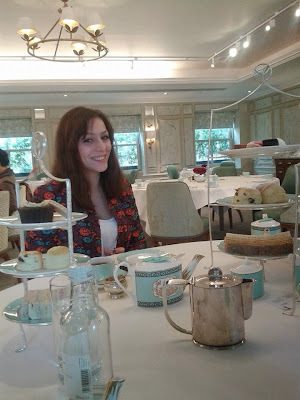 It all tasted so amazing, but surprisingly my favourite part was definitely the scones! 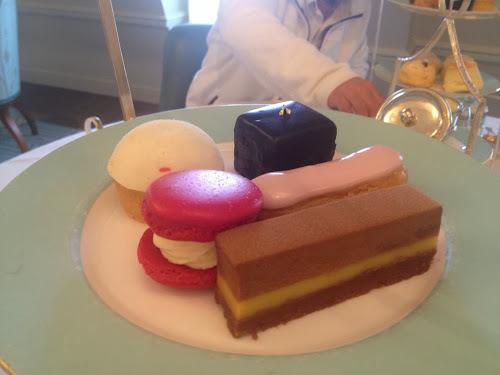 I thought I'd like the cakes but there were one too many I wasnt find of, including macaroons! 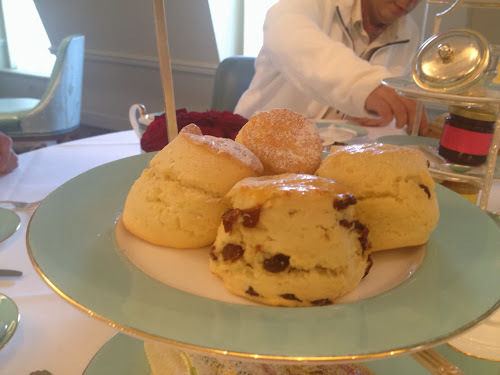 I thought I would, but they tasted too perfumed! I was excited to be drinking chai tea instead of a normal one that my dad would have at home, and john went for a classic afternoon blend. We drank about 2 pots of tea each, and we're offered more and more of each plate of food. It was perfect service, and perfect food! Fortune & Mason is definitely worth going to for the amazing experience! It is £40 a head but you do get a lot for your money. Even just shopping through all 3 floors of tea, coffee, homeward, accessories and fragrance and beauty is worth the visit! I almost came home with the most beautiful Vivienne Westwood bag, and now I'm obsessed with the idea of getting one...! I can't wait to go back again, maybe with just me and John next time!